I'm making another ombre blanket. About half way there. Just wanted to document my thought process for how I choose colours. Sometimes the colour scheme takes on a life of it's own. I find it gets very addictive as I can't wait to add the next colour to see what effect it will make. 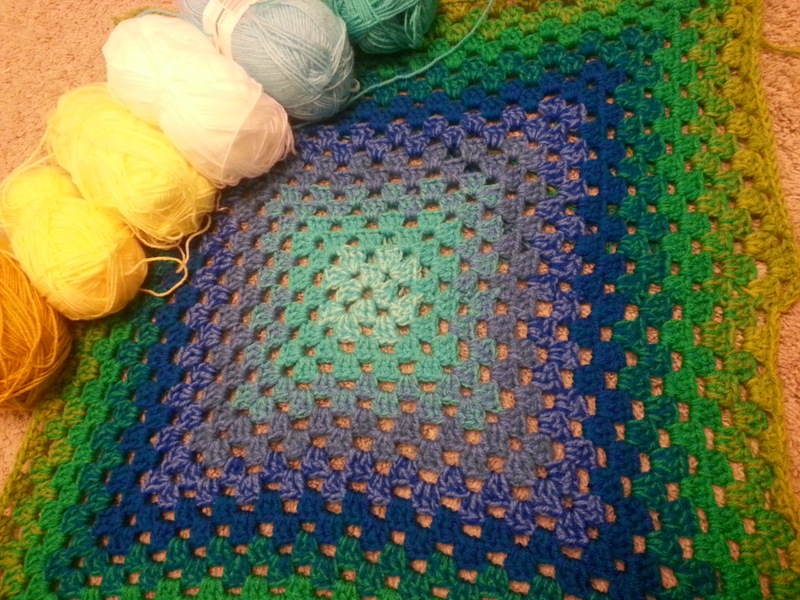 This blanket is being crocheted with two strands of double knit acrylic yarn with a size eight hook. Each colour combo is crocheted over two rows before dropping and adding a colour.